The Songbirds Troubadour troupe returns to the MMORPG Final Fantasy XIV. From 1 to 14 March there will be a seasonal event Little Ladies' Day, which you probably already visited in 2016 and 2017. If you want to participate in this event, first download the character to level 15, and then talk to Mythril Eye Reporter, located in Ul'dah, Steps of Nald (coordinates: X - 9.2, Y - 9.1). You will have the opportunity to get three special emotions. With the help of them you can cheer your favorite member Songbirds, plenty of waving luminous wands and show your choreographic skills. 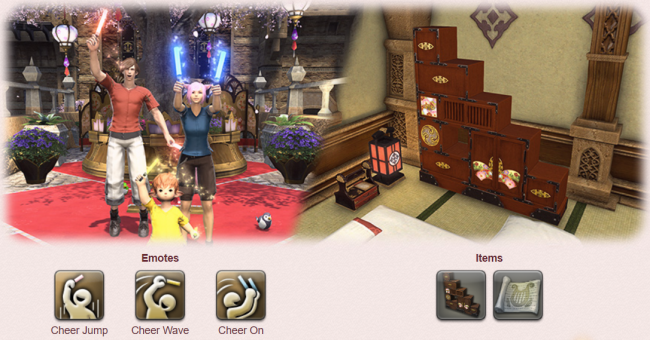 Among other things, you will become a happy owner of the Siren Song Orchestrion Roll and home furniture (Far Eastern Doll Display). On this "decoration" it will be possible to put various items. For more FFXIV tips and tricks, stay tuned to FFXIV4GIL. You can choose www.ffxiv4gil.com where you can buy Final Fantasy XIV Gil cheap.